Sisters Ranjani & Gayathri are scheduled to perform during the Chinmaya Mission Triple Play Weekend. No one is ever going to mistake Boston for Chennai, the sprawling South Indian city on the Bay of Bengal that hosts the Madras Music Season, a cornucopian festival featuring hundreds of Carnatic concerts running around the clock every December. But with the spring bringing the Boston area a profusion of classical Indian music offerings surpassing anything available elsewhere in the United States, Beantown can boast a Music Season of its own. Presented by several organizations, most importantly MIT’s MITHAS, LearnQuest Academy of Music in Waltham, and Chinmaya Mission, the programs are geared for serious aficionados and fans eager to learn more, with recitals, lecture demonstrations, workshops, and panel discussions. Durga Krishnan, a master of the veena (an ancient plucked lute) and respected teacher of South India’s classical Carnatic tradition, is involved in all three organizations. She grew up in Chennai, formerly known as Madras, and has used Music Season as a guidepost. “We thought we should bring that experience here,’’ Krishnan says. “I always felt the biggest thing is to promote Indian music, particularly South Indian, which isn’t as widely known in the American community as Hindustani,’’ the North Indian classical tradition. MITHAS kicks off the season Sunday night in MIT’s Wong Auditorium with the rising Hindustani khyal singer Indrani Mukherjee accompanied by tabla player Amit Kavthekar, the first of 12 weekly concerts running through May 20. Focusing on musicians based in India, many of whom are making their Boston debuts, MITHAS’s series is consciously designed to alternate between North and South Indian artists. While the Carnatic and Hindustani traditions share the same origins, they started diverging around the 12th century as Persian empires spread Islamic influences across the subcontinent’s north. Over the centuries, the traditions embraced different instruments, with Carnatic music focusing on vocals, veena, tambura, mridangam, and ghatam, and Hindustani on sarod, tabla, sitar, and tanpura. Artists in both traditions explore one raga and one tala (melody and rhythmic cycle, respectively) in each piece, but generally Hindustani music is more invested in improvisation while Carnatic artists are prized for hewing closely to the original composition. Among audiences of Indian heritage, it’s not unusual for devotees of one tradition to largely disregard the other. 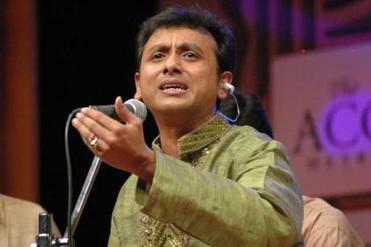 Vocalist Unni Krishnan is part of the LearnQuest Academy’s music festival. Other MITHAS highlights include revered 92-year-old Carnatic vocalist R.K. Srikantan, who performs on April 15 at Wong, and Priyadarshini Govind, a master of Bharata Natyam, the stately classical South Indian dance form from Tamil Nadu. She performs at MIT’s Kresge Auditorium on April 29 as part of a US tour with an orchestra. The LearnQuest Academy is committed to a similarly cross-cultural vision. The centerpiece of Boston’s Music Season, LearnQuest Academy’s 7th annual Music Conference and Festival of Indian Classical Music is a weeklong program that culminates in a three-day extravaganza March 30-April 1 at Regis College. With 12 hours of performances on the Saturday and Sunday programs, alternating between vocalists, instrumentalists, and dancers representing Carnatic and Hindustani styles, the program offers an immersive experience. Rajesh Godbole, chairman of the LearnQuest Music Conference, says the academy drew inspiration from another major Indian cultural showcase, the Sawai Gandharva Music Festival that takes place in Pune every December. It’s a predominantly Hindustani event, though it has long included some Carnatic artists, mixing that isn’t unusual in India. But the tremendous distance separating north and south and the huge markets for both traditions mean that intermingling often isn’t a priority. There’s far more motivation to pool resources as a minority in North America, and many of Boston’s Indian cultural activists are committed to building bridges within the community, as well as to non-Indian Americans. Carnatic saxophonist Prasant Radhakrishnan’s experience with LearnQuest gives a good sense of the organization’s scope and vision. Based in Oakland, Calif., he first performed at the festival in 2007 in a Carnatic recital with violinist Tara Bangalore and Durga Krishnan on veena accompanied by two percussionists on double-sided mridangam. He was invited back in 2009 with VidyA, a trio with trap drums and bass that has forged a powerful synthesis of Carnatic forms and jazz. He returns for an afternoon Carnatic recital on April 1, performing between Hindustani vocalists Subhra Guha and Debapriya Adhikari (with Samanway Sarkar on sitar). Born and raised in Phoenix, Radhakrishnan is a disciple of Carnatic saxophone pioneer Kadri Gopalnath (who’s gained visibility in the West recently through his collaboration with Indian-American saxophonist Rudresh Mahanthappa). Chinmaya Mission’s Triple Play weekend effectively concludes the season on the weekend of May 18 with a Carnatic concert by sisters Ranjani and Gayatri on violins and vocals, and recitals on May 19-20 by Sri Vishaka Hari, a leading Carnatic vocalist from Chennai. Ultimately, Durga Krishnan sees Boston’s wealth of Indian music as a testament to the spirit of collaboration.